As a little kid, I loved the Ewoks. My reason for loving them, simple! The Ewoks were adorable. Okay, well that and they acted silly and funny. Sure, as an adult I may not laugh out loud at the funny things the Ewoks do or say, but I definitely did as a child and I can still appreciate the silliness as an adult. Leia begins to remove her helmet as Wicket munches on a snack. 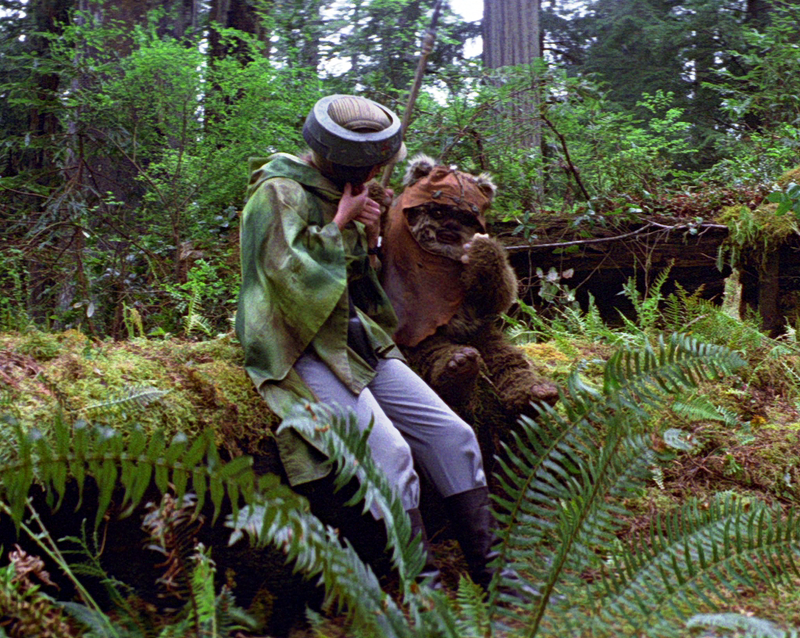 Take Wicket as an example, the Ewok who pokes Princess Leia awake with his spear. Wicket curious but hesitant as he interacts with her at first, but when Leia takes off her helmet Wicket leaps up, readying his spear and preparing for the worst. All of this because she took off a helmet! Why would he be afraid of a helmet!?!?! Ha! How ridiculous! Granted, I couldn’t appreciate as a child that maybe Wicket had never seen a helmet before, or perhaps he was just startled by her action. But who cares, little kid me didn’t need to think that hard about the scene. All I had to do was sit back and enjoy, which I still do even if I am not in tears from laughter. Another example of Ewok hilarity: they bow down and worship the whiny, always complaining C-3PO as a god. C-3PO of all characters! Even Han is taken-aback by “goldenrods” newly christened divine status. And then there is the moment when the Ewok’s prepare to make Han and Luke the main course in a feast honoring their new god though, as a kid, I never worried that Han or Luke would be consumed(though it would have been a heck of a plot twist in the film if Lucas HAD gone down that road). Naw, what made that scene so great, and what still makes it one of my favorites, is just how absurd the entire situation is – the Ewoks sing a little tune while they stack logs for the feast. Han tries blowing out a torch. Luke makes 3PO “fly” which terrifies the Ewoks and sends them running in all directions. The whole scene is just as hilariously silly!!! Han attempts to blow out the torch. This isn’t to say that the scene isn’t meant to be funny. Rather, when the layers of silliness and humor are stripped away in this and other scenes, the Ewoks turn out to be different than we first thought. In fact, let’s chat about their tactics in the Battle of Endor. Consider this: the Ewoks bludgeon A LOT of Imperial soldiers to death with clubs and spears. Remember when those two Ewoks take control of the AT-ST with Chewie? While our favorite Wookie pulls one of the pilots out of the cockpit, tossing him over the side, the two Ewoks jump in and beat the hell out of the other pilot. Ewoks swing from vines, throwing two Stormtroopers down a hill where they are then pounced on by other Ewoks who start clubbing them. One Ewok slings a Stormtrooper around the neck, an act that presumably causes the trooper to suffocate. A group sneaks up on Stormtroopers firing at Han and Leia, beating them with clubs and spears (see the featured image at the top of the post). Other Ewoks lasso a speeder bike with rope, sending the bike and its pilot spinning around, and eventually crashing into, a tree. You can hear him scream the entire way to his fiery death. Still others “clothes-line” the pilot of another bike with a rope suspended between two trees – there is no way that trooper’s neck was not instantaneously snapped. A handful of Ewoks standing on a massive log drop rocks on Stormtroopers below them. They send massive logs swinging into the cockpit of an AT-ST, crushing the two soldiers inside. Ewoks throw rocks onto Stormtroopers. What’s my point? Well, the Ewoks are certainly adorable and silly, but they are also incredibly dangerous and deadly. Primitive they might be, but they are clearly effective warriors, so skilled in the art of war that they can take on a technologically advanced foe in a head-to-head fight. So, with this thought in mind, I am gonna just come right out and say this: the Ewoks were planning on fighting a war against the Empire before Han and his strike team arrived. Or, perhaps they had already started the fight, and the Rebels just showed up in the middle of it. Seriously, think about it. Haven’t you ever wondered how the Ewoks were able to prepare for the battle so quickly? It isn’t like they started stacking those massive logs twenty minutes before the battle began, or built catapults right before they launched their attack. To be fair, some of those logs and catapults were surely built and perhaps in place already to deal with an occasional Gorax threat, but as a whole, in my mind, the Ewoks were preparing for a while, waiting for the moment to strike by strategically placing their weapons near and around the bunker. 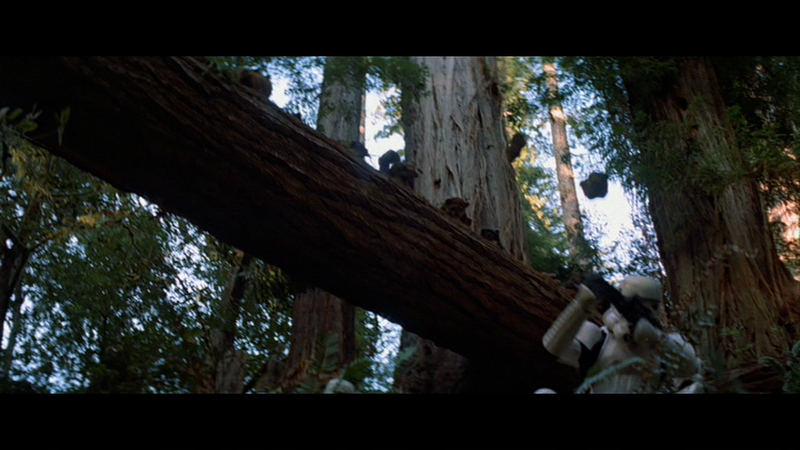 Maybe that day on Endor was not the day they had been planning to launch an all-out war, but the day found them. But that didn’t really matter because they were clearly ready for it. The battle begins when they decide it is time. The trumpets sound and the Ewoks emerge from their hiding places to shoot arrows and throw spears at Imperial soldiers. As the battle progresses, there are other Ewoks in trees spotting and signaling their comrades, while others lead Imperial troops into ambushes. Logistically, strategically, tactically, the Ewoks were the superior foe in this fight. 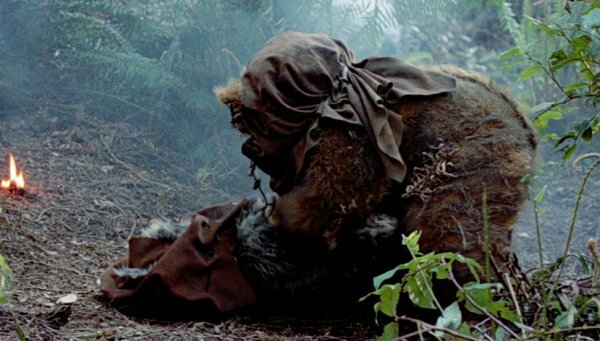 Sure, some Ewoks die in the fight, like poor Nanta who is mourned in the moment by his comrade Romba. But as warriors they know the risk and are prepared for what awaits them in battle. But hold on a second, if they are such skilled warriors, then there is a very good possibility that Ewok tribes on Endor have gone to war with one another countless times. They had to learn the art of war somehow, right? Setting traps for Gorax, and occasionally killing one, would hardly be enough to train them in the ways of warfare. Just picture that – two Ewok tribes fighting a forest battle. It would be the most adorably bloody battle ever! Oh, and chances are the victors eat their dead enemies, be them Ewok or Imperial. I just hope the Ewoks of Bright Tree Village didn’t feed any dead Stormtroopers to the Rebels after the big win. Then again, Chewie probably wouldn’t mind. He is always thinking with his stomach. Of all the iconic scenes in Star Wars: A New Hope, one that truly stands out to me is when Darth Vader chokes Admiral Motti due to Motti’s “lack of faith.” With an upraised hand, Vader begins to slowly crush Motti’s windpipe while the other Imperial officers at the table sit by and watch. Revealing that Vader has supernatural powers, and that he is even willing to turn these powers against his allies, this scene goes a long way towards bolstering Darth Vader’s status as an iconic villain. But this post is not going to be about Vader. There will be plenty of those posts in the future. 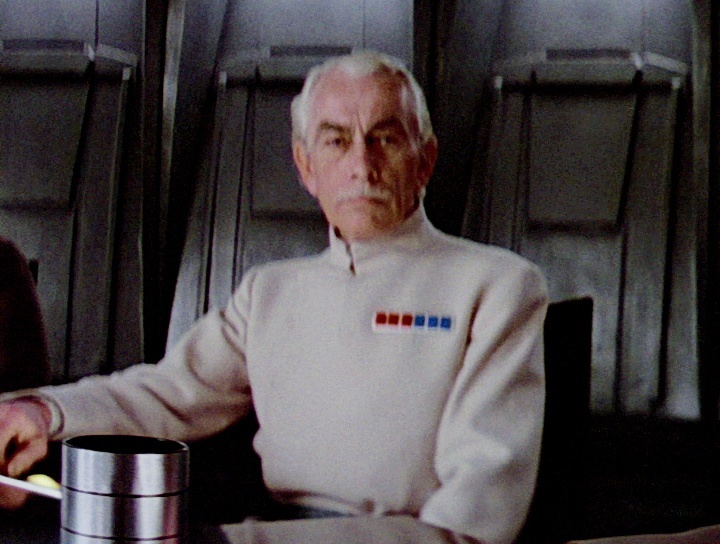 Rather, who I really want to focus on is the White Uniform Guy with a Mustache sitting to the right of Admiral Motti. Mostly expressionless throughout the scene, his biggest reaction to what is happening comes when the choking takes place. However, this is not White Uniform Guy’s only scene in the film, as he also walks past Han, Luke, and Chewie when they are waiting for an elevator. Two scenes, that is it. Who is this White Uniform Guy with a Mustache? What is his story? Recently, I received a couple of new Lego Star Wars sets in the mail that I bought during the Lego May the Fourth sales event. During this event, Lego offers an exclusive promotional mini-figure if you spend a certain, not insignificant amount of money. I am not going to tell you how much I spent, but let’s just say I received the mini-figure and we will leave it at that, okay? Great! Okay, so White Uniform Guy with a Mustache is actually a character by the name of Wulff Yularen. You would be hard-pressed to find Yularen by name in the film credits of A New Hope, though, because he isn’t actually there. Secondly, the character Mr. Clarke was portraying was an unnamed background character at the time of filming. It would not be until the release of the Star Wars: Customizable Card Game (circa 1995) that the character Mr. Clarke portrayed would officially receive the name Wulff Yularen, as well as a very tiny snippet of back story as a Colonel in the Imperial Security Bureau (ISB). [ii] Though the Card Game no longer counts as part of the “official” Disney canon, Yularen and his back story have been maintained and even expanded. Wulff Yularen appears for his second stint in the Star Wars universe in The Clone Wars animated movie which was released before the first season of The Clone Wars animated series. Voiced by Tom Kane, Yularen, a Republic Admiral, is one of the first characters to debut in the film. Admiral Yularen with Jedi General Anakin Skywalker. Following the movie, Yularen would also appear in a number of episodes of the animated series itself, and new details about him would begin to emerge. 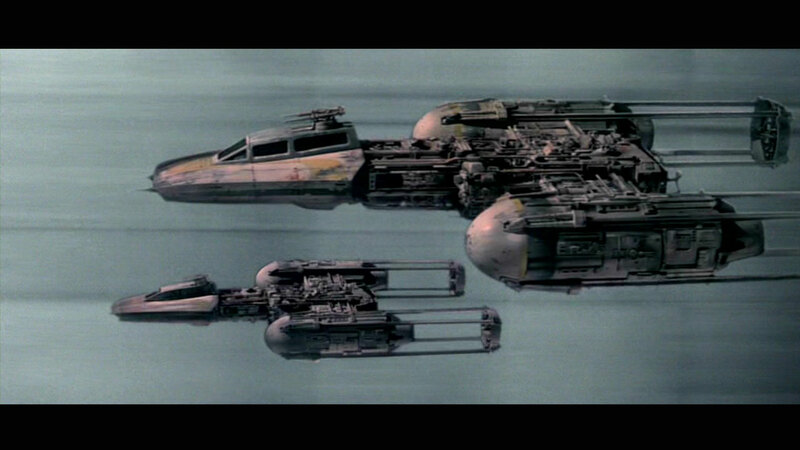 Throughout the Clone Wars, Admiral Yularen commanded Jedi General Anakin Skywalker’s flagship the Resolute. However, Yularen was not always thrilled to be working with the reckless, young Jedi (see the quote provided at the beginning of the post). None-the-less, Yularen would participate in a number of engagements in the war, including (to name a few): Christophsis, Quell, Ryloth, and Second Geonosis. 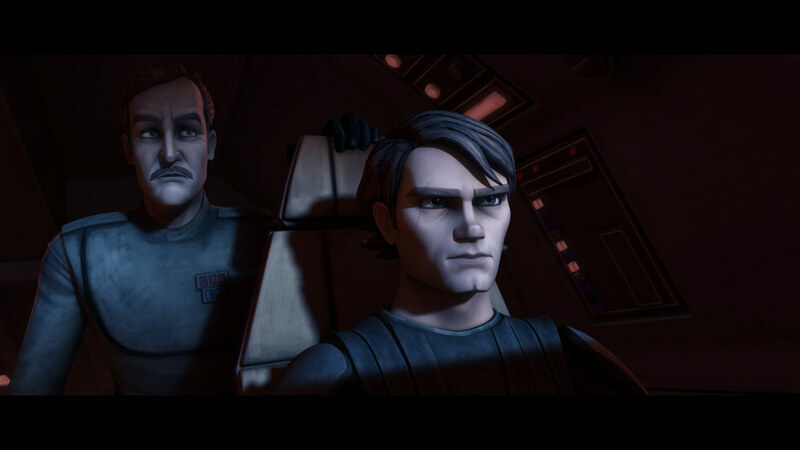 Though The Clone Wars animated series has ended, Yularen’s back story garnered a bit more development in the novel Tarkin from author James Luceno. In Tarkin, which takes place 5 years after the events of Revenge of the Sith, the reader discovers that after the Clone Wars ended, Yularen resigned his naval commission for the rank of Colonel in the ISB, and served as a liaison between the Bureau and Military Intelligence. In turn, at the end of the book, Yularen is promoted to Deputy Director of Naval Intelligence, a subset of Military Intelligence. As well, Colonel Yularen has also played critical roles in Timothy Zahn’s novel Thrawn, being a close confidant of the rising, Chiss officer, and also appears in an episode of Star Wars Rebels (Season 3, Episode 17 – “Through Imperial Eyes”). 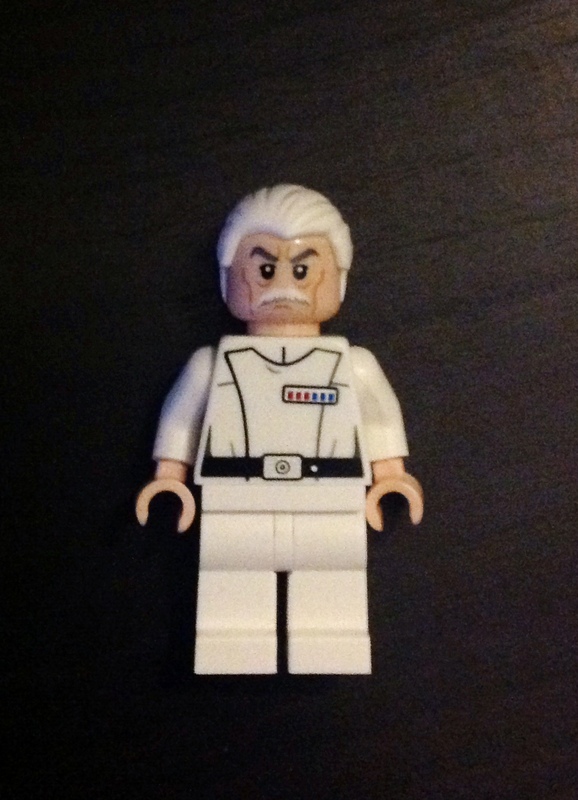 In A New Hope, then, Colonel/Deputy Director Yularen is an important intelligence figure serving aboard the Death Star. At this point, no official story has been established that explains his placement on the battle station, though one can imagine a number of reasons for the distinguished, albeit fateful posting. Though on the surface of things his presence at the conference table on the Death Star still does not add a great deal of weight to the scene itself, Wulff Yularen’s backstory does contribute an additional dimension to the scene which did not originally exist. He may not participate in the dialogue itself, but he is now much more than the unnamed background character he used to be. In a sense, Wulff Yularen’s character development points at the exciting intricacies of storytelling in the Star Wars universe. The fact that an unnamed background character can emerge from the shadows and be propelled into relevance is one of the many reasons that I continue to love Star Wars. Discovering something new about a character, particularly an unknown background character, and their connection to other individuals and events, is just one of the many reasons Star Wars remains so captivating. And perhaps even more importantly, this also creates different avenues for the imagination, as one is able to engage with and experience the stories in new and dynamic ways. Just think about all the other characters out there, new and old, who are waiting for their time to shine: to receive a name, a back story, the chance to be a promotional Lego mini-figure, and the ability to impact the way you and I experience Star Wars. Of course, at least in my case, with new developments in Star Wars also come new thoughts and questions. In the case of Wulff Yularen, I am left pondering a question that, without any of his added back story, would have never otherwise crossed my mind. In short, should I feel bad that he died on the Death Star? Knowing what I do about his background as a Republic officer, but also his loyalty to the Empire, how am I supposed to react to his death? Should I even care that he dies? Is it wrong for me to feel remorse for the death of a loyal follower of the Emperor? Or, did he get what he deserved when Luke’s proton torpedoes hit the main reactor? Frankly, I am not really sure how to answer these questions. [i] This was actually Mr. Jones own decision as he felt David Prowse, the actor inside the Vader costume, deserved all the attention. [ii] I bet a number of you still have these cards from this card game! In fact, I know one friend of mine who had a ton of them…he knows who he is.